But it’s your job to turn prospects into happy customers. Often times, it turns out that the lead wasn’t that interested anyway. We call them tire-kickers. They make you spend energy for nothing. Instead, you could be spending all that time and energy where it’s best spent - growing your business. All while your marketing automation does the heavy lifting, repetitive tasks that take up you and your sales team’s most valuable time. You can nurture leads smarter instead of harder. Marketing automation is the strategic use of software programs to nurture prospects, automate your sales process and services, and upsell customers. When a prospect shows interest in one of your products or services (i.e. downloading an ebook, signing up for your email list, or spending time on a specific product page), that action triggers the marketing program to feed them related, valuable content. So, how do we know this content is valuable to the prospect and not immediately deleted? For example, looking at hiking boots on a footwear website would trigger a different email than looking at fashion boots or Oxfords. In fact, even if the prospect briefly wandered over to stiletto or Oxford shoe pages, your marketing program would notice that she spent much more time on the hiking pages and send her the email she’ll actually read. You can also segment your list based on profiles; for example, a CEO of a large company would receive an email targeted to big-budget CEO’s needs, while a fresh entrepreneur would receive tips on entrepreneurial concerns. And even ready to send positive reviews and referrals your way for even more warm leads! Each stage requires different tones and content. This personalized approach helps convert prospects into leads, leads into customers, and customers into repeat customers - without you having to lift a finger. Instead, you’ll be saving your most valuable time for productive conversations with more warm leads. 2. What Can Marketing Automation Do for My Business? In two words: Time = Money. Since automating helps prioritize leads, you’ll reach out to the most engaged people first - with exactly what each person wants to hear. That means you and your sales team won’t be wasting your time chasing down the previously mentioned “tire-kickers” who weren’t serious about buying in the first place. Instead, marketing automation will handle those low-interest prospects by feeding them helpful, targeted information at an appropriate pace until their increased activity shows that they’re more serious about your solution. If the prospect does show more interest in your services or products - to the point where talking to a “real live person” is likely to help them commit - your marketing automation program will send an automatic notice to your sales team so that they can initiate contact. At this point, you’ve saved your sales team hours of explaining the same things again and again (because your marketing program will have directed prospects to FAQ’s on your website or blog) and ensured that each conversation they have is with a truly serious prospect. Since your marketing program keeps a record of each prospect’s activities on your website and emails, once you’re on the phone you’ll know just what they’re looking for and what they want to know. Then, once your new customers have made the plunge, could your deliveries be automated? If you're delivering the same things over and over, probably!And the time-saving doesn’t end after you deliver. For example, why not send automated emails to request a review or referral - both of which can bring you even more leads? How much more efficient could you be? 3. Sounds intriguing. How do I get started? First, it’s important to know that results don’t come from just using technology. Effective automation comes from the strategy behind the technology: sending exactly the right information to the right people at the right time. That’s why the most important part of marketing automation is strategic content. 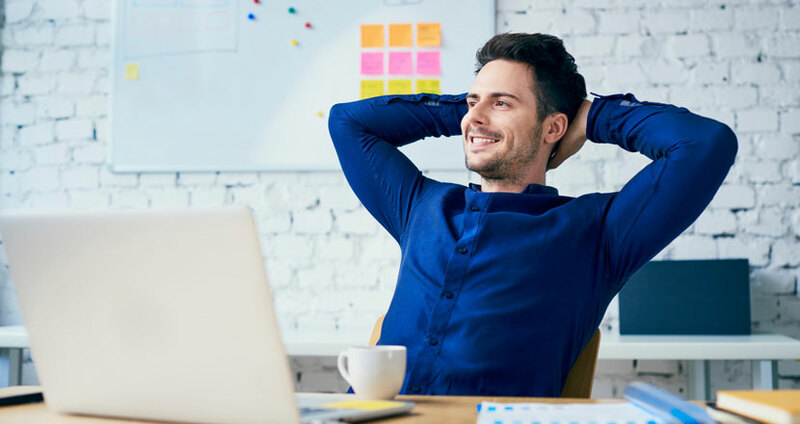 If you'd like to talk about closing more sales in less time with marketing automation, give us a call at 916-608-8913, or just click here to book a time!